PM Modi reiterated India's commitment towards world peace and pledge to work to further an atmosphere of harmony and brotherhood. 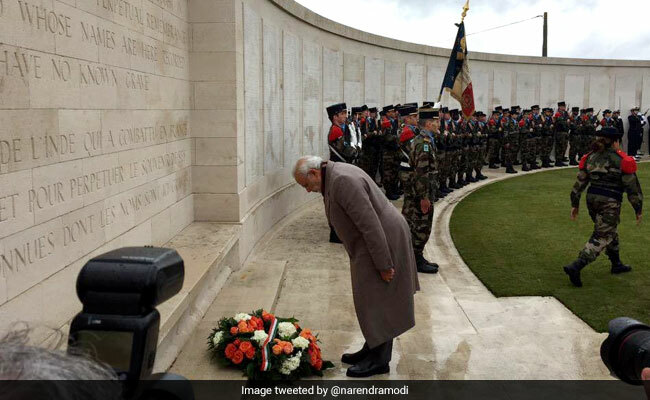 On a day the international community observes the hundredth anniversary of the end of hostilities in First World War, Prime Minister Narendra Modi has paid rich tribute to the Indian soldiers who fought on behalf of Britain. In a series of tweets, he wrote that the soldiers fought in the war in which India was not directly involved for the "cause of peace". "Today, as we mark one hundred years since the end of the horrific First World War, we reiterate our commitment towards world peace and pledge to work to further an atmosphere of harmony and brotherhood so that the trail of death and destruction caused by wars does not occur," he wrote on Twitter. 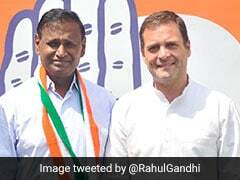 "India remembers our brave soldiers who fought in WW-1 This was a war in which India was not directly involved yet our soldiers fought world over, just for the cause of peace," he added. I have had the honour of paying tributes at the Neuve-Chapelle Memorial in France and at the memorial in Israel's Haifa, places associated with India's role in the First World War. Nearly 1.5 million Indian soldiers had served in the First World War and thousands of them were killed in action. The world was pushed into the war on July 28, 1914, with Austria declaring war on Belgrade, exactly a month after the heir to the throne of the Austro-Hungarian empire, Archduke Franz Ferdinand, and his wife Sophie were assassinated by Bosnian Serb student Gavrilo Princip. Two days later Serbia's ally and protector, Russia, ordered a general mobilisation of its army to intimidate Austria. On August 1 Germany, ally of Austria, ordered the same. France, allied with Russia, immediately followed. Germany declared war on Russia the same day. On August 3 it declared war on France and its troops invaded Belgium. The next day, Britain -- allied with France and Russia -- declared war on Germany for violating the neutrality of Belgium. Millions of soldiers had perished, and the economies of the participants were in tatters before the war ended in 1918, two days after Germany's ruler Kaiser Wilhelm II was forced to renounce throne on November 9.